Trying to fit exercise into our increasingly demanding work lifestyle is nearly impossible for some people nowadays. Be it busy mothers, entrepreneurs, or regular employees, juggling work with maintaining health through exercise is challenging. Enter LifeSpan’s TR1200-DT5, their leading treadmill desk. 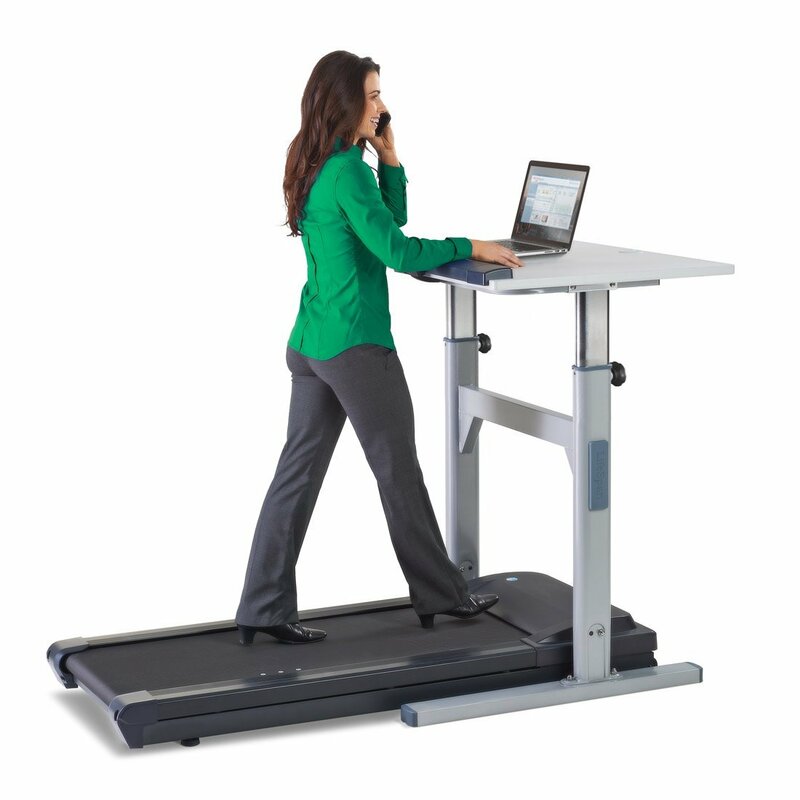 The machine is a 2.0 HP treadmill platform attached to an adjustable desk. The desk’s size can be accommodated for heights between 4’10 and 6’8 ft and supports weights up to 350 pounds. There are many variations of the desk treadmill. If you are uncertain about which is the best for your daily routine, read our ultimate guide to treadmill desks. have taken are also tracked. The walking deck has an area of 56” x 20” which is comparable to the platforms of regular treadmills. The treadmill is easy to set up and assemble because it comes pretty much ready to use in the container. Whereas most treadmills require effort to assemble and wear you out, the TR1200 makes sure that you don’t start sweating until you actually use the machine. The work station is durable and spacious, so your work won’t clutter up. It is laminated with a polish finish and can be adjusted to a comfortable position. Adjusting is manual though so if two or more people of different heights plan on using this contraption, it might get annoying. The 2 HP motor works quietly and will not be distracting or cause background noise while you work or are on a business call. It has the capacity to run for six hours straight, and automatically becomes inactive one you stop walking/running due to the Intelli-guard function. Maximum speed handled is 4mph and it comes with a warranty for three years. However, it is unlikely that you will hit the max. speed while working, so the motor is most probably going to outlast its warranty. The treadmill desk has Bluetooth functionality which keeps track of and syncs your workout data with the LifeSpan mobile app. Along with this you will get a free one-year membership to the LifeSpan Online Fitness Club. 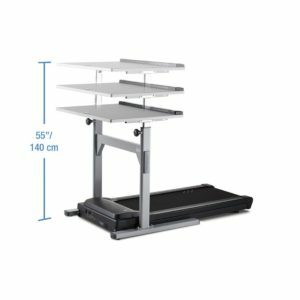 LifeSpan treadmill desk comes with a lifetime warranty for the frame and warranties of three years for the motor, two for the components and one year for labor. The good thing is that you are more than likely going to outlast the warranty if you keep the platform lubricated. 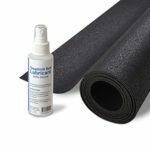 We highly recommend that you buy the accompanying LifeSpan Treadmill Starter Kit (sold separately) which has a 100% Silicone belt lubricant and a lightweight support mat. The lubricant is specially formulated for LifeSpan treadmills, keeping them running in optimal condition and increasing its longevity. LifeSpan has a 60 days’ money back guarantee but be mindful that you will have to pay for the return shipping. The TR1200-DT5 Treadmill desk is fantastic value for its price and worth investing in.